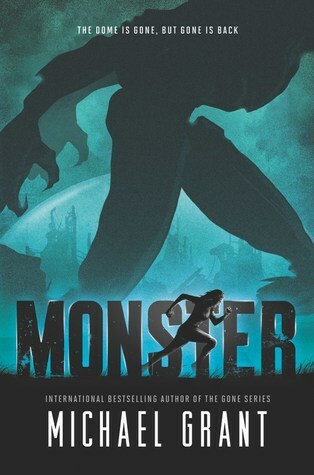 In the stunning follow-up to the globally bestselling Gone series, Michael Grant continues the story of the teens who morph into superheroes—and supermonsters—when they ingest an alien virus. Four years after the events of the FAYZ, new meteorites are hitting Earth, and the whole world is exposed to a strange alien virus that gives humans unique superpowers. As some teens become heroes and others become dangerously out of control with their new powers, the world will become more terrifying than the FAYZ—and only a monstrous battle between good and evil can save them. I remember when I first started this series and I remember when it ended. I remember how I was so excited to get the next book in my hand and I remember how sad I was to see it end. You have no idea how excited I was when I saw this book on Ed. I think I dropped everything I was reading just so I could start this book. I think I even missed a meeting for school to stay home and read this. Does that give you an idea of how much I loved seeing this book? I was happy to be back somewhat in my old friends I had made in the old “Gone” world but I was even more excited to see what would come of the new characters. Loved seeing Dekka again and although it was a little rough getting to know the new bodies, I am curious to see what they bring to the post-FAYZ world. What was really interesting to see was the difference between what is right and what is wrong being shown through the actions of the kids and adults and seeing how people we thought of to be good, actually have a dark side in them. Filled with action, emotion, and a whole lot of change Grant has delivered a book that sparked an interest to know more. If the next installment is any like this and more characters from the FAYZ return, I know you can sign me up. If you have not read the Gone series…what are you waiting for?